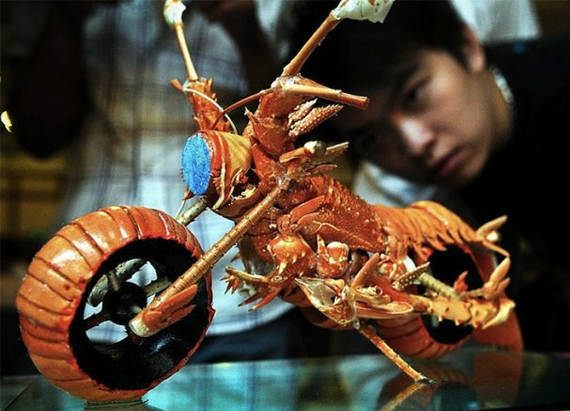 This lobster motorcycle is badass. It’s even more badass if you’re a lobster. Think about it—to us that’d be like a motorcycle made out of a human skeleton. No one would mess with the guy riding that thing for fear he might need to make another vehicle out of bones—like a riding mower or a segway. 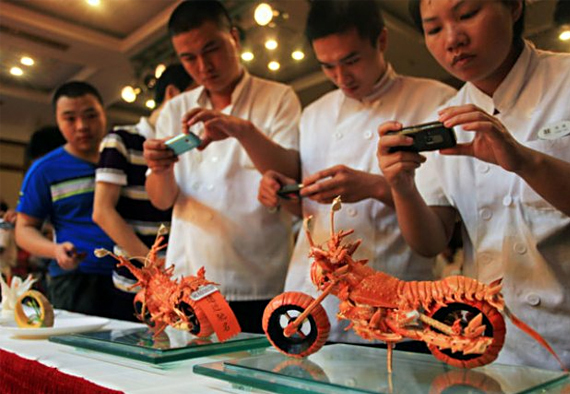 The lobstercycle was created by Taiwanese artist Huang Mingbo from a single lobster carcass. And before anyone starts in on how wasteful this is, the lobster was eaten first so it’s no more cruel than your typical act of boiling a living creature alive so you can eat it. Watch Two Sculptors Sculpt Each Other In A Sculpt-Off! Does This Greek Sculpture Show Its Subject Using A Laptop?